Ensuring safely managed drinking water for everyone is a global policy priority. The Government of Bangladesh remains at the forefront of the global effort to define and achieve the expanded Sustainable Development Goals (SDGs). The SDGs recognise that ‘access’ is only one step towards achieving safe and reliable drinking water for everyone, every day. 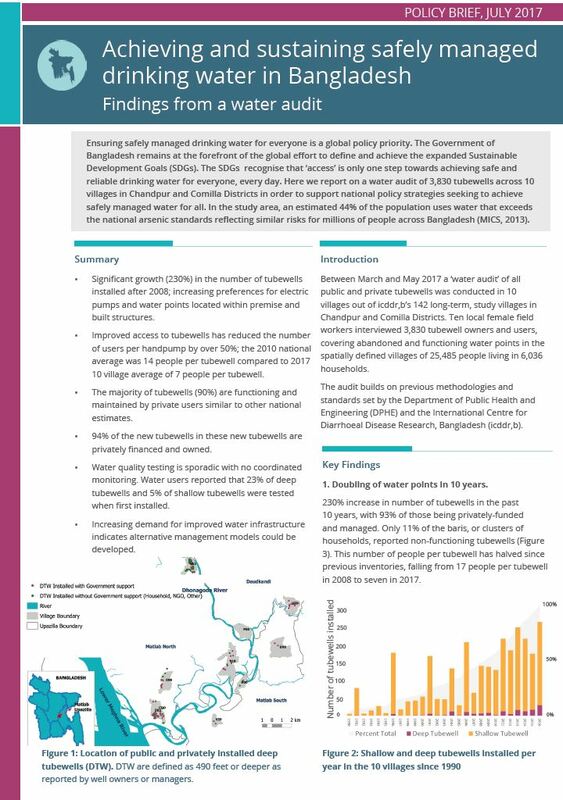 In this policy brief, the authors report on a water audit of 3,830 tubewells across 10 villages in Chandpur and Comilla Districts in order to support national policy strategies seeking to achieve safely managed water for all.